Bumble opened its doors in September 2011, with a passion for healthy local ingredients and a sense of neighborliness in mind. Our goal was to provide a fresh and hearty menu with a family friendly dining option for our community. Community is exactly what has made Bumble what it is today. Just as bees congregate in their hive, Bumble offers a welcoming space, which brings friends and family together. As an organic restaurant, we pride ourselves in being a supporter of local farmers and fresh produce that is entirely California sourced and grown. Our ambition for buying locally grown means our seasonal menu is ever-changing in accordance with what type of produce is growing and thriving at the time. Our knowledgeable culinary staff sources these ingredients first hand. We also pride ourselves on our Playroom, which offers a unique dining experience for adults and children alike. Our family friendly concept has flourished around this particular aspect and brings our vision for Bumble full circle. We continually work on growing with and for our community by sourcing the best ingredients, updating our menu options seasonally, and listening to our customers needs. Thank you, our community, for being a part of the Bumble family! Fiesta Vallarta is a Diners’ Choice award winning restaurant featuring traditional Mexican dishes and light dinner specialties. Our full bar offers top-quality liquors, wines, domestic and imported beers, including Dos Equis™, Tecate™, Corona™, and margaritas such as Fiesta Vallarta Margarita, strawberry, and piña coladas. Whether you join us for a margarita after a long, hard day of work, or just want to sit back and enjoy a beer with your friends, we offer the perfect blend of imported Mexican beverages to help you end the day. Features include our house-smoked salmon and roasted chicken, slow cooked over a wood fire rotisserie visible as you walk in the front door. Complement your dinner with one of our signature margaritas or a glass of wine from our extensive list focused on California vintages. We hope to welcome you soon! State of Mind Public House & Pizzeria is inspired by the Golden State. We believe California is much more than a place on the map; to us, it’s a State of Mind. With roots in the state dating back to the 1800s, State of Mind brings to life the long-held dream of our family, all of whom were born and raised locally. 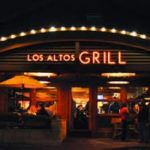 We are excited to be in downtown Los Altos and share our love of all things California. A French style boutique hotel where you will find a little bit of Paris in the heart of Silicon Valley. Designed to host guests in the comfort of a French Chateau, every door opens to decorator selected treasures. Enjoy the warmth of a fireplace, Carrera marble bathrooms with oversize showers, spa quality toiletries, monogrammed robes, exceptional mattresses, sheets like silk, and real wood windows that open for fresh air. Complimentary gourmet breakfast, light afternoon repast, free fiber optic delivered high speed Internet with Wi-Fi throughout the hotel and true HDTV is included. Guests dine in charming Campagne One Main Bistro finished with 200-year-old timbers, a period French fireplace, Beaumaniere limestone floors, re-polished antiques, and designer selected Napoleon treasures. Hyatt Centric Mountain View combines boutique design with a bevy of amenities, such as Fairchilds Public House restaurant/bar, lively meeting and event space, and a 2nd-level open air terrace complete with an infinity pool – and a view of the Santa Cruz Mountains. Nestled in the Village at San Antonio Center, this 167-room upbeat hotel is steps away from restaurants, retail, a movie theater, even a dog park. Business travelers appreciate easy access to corporate offices in Silicon Valley; those here for leisure like being close to local favorites like Mountain View’s Castro Street, Palo Alto’s University Avenue and Stanford University. Whenever you’re in the Bay area, we’re where you want to be. Hyatt Centric Mountain View is only 1.8 miles from Downtown Los Altos. Le Boulanger, the Bay Area’s premier bread bakery, offers a wide variety of award-winning breads, pastries, and gourmet coffees in Old World-style establishments. We are located in Downtown Los Altos. One of the last of the family-owned and operated businesses, Le Boulanger has won numerous awards for its San Francisco sourdough and 20 varieties of other breads and pastries. Le Boulanger is a community-conscious organization known for regular donations of breads and pastries to charities and local food banks. Le Boulanger is proud to hold its place as the Bay Area’s premier bakery/café. Located in Downtown Los Altos, we want you to feel at home in the warmth of our cozy and friendly environment. We hope you will take notice in the value of our meals. We serve fresh, delicious Greek food at affordable prices. Value and customer satisfaction are our pillars!